I woke up this morning with every intention of tackling Mount Teneriffe, but too much holiday cheer last night left me with an unset alarm. Although I woke up bright-eyed and bushy-tailed, I was also still home in bed at this late hour when I would otherwise be at a trailhead about to embark on my long journey for the day. I considered my situation and reassessed my plans. Rather than attempting to cover 14 miles of trail in 6 hours of daylight and deep snow, I thought it would be more enjoyable (yet just as strenuous) to hike up neighboring Mount Si. A short 25 minute drive to North Bend got me to Mount Si Trailhead just before 10 am. The holidays and snow didn’t keep hikers away from this popular trail today, as there were already 20 cars in the ample parking lot when I arrived. This trail is a favorite training ground for backpackers and mountaineers alike preparing to summit any of the well-known stratovolcanoes throughout Washington state. 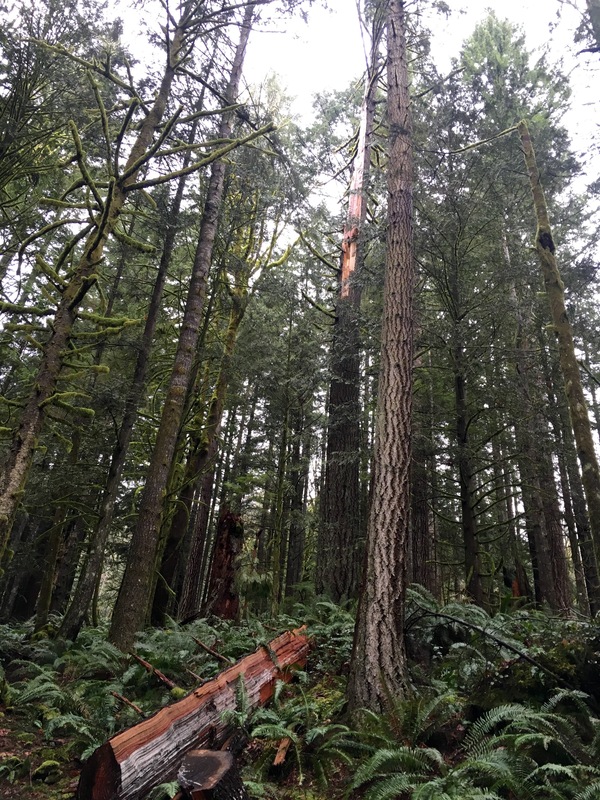 Since I typically prefer trails less traveled, I have only been up Mount Si once before in the spring and have since gone out of my way to explore lesser-known trails. Having already exhausted my short-term interest in the Issaquah Alps over the past two weeks, I figured I would give Mount Si another chance (with hopes of no crowds on this post-Christmas morning). Given my bear encounter during my solo hike on Rattlesnake Mountain last weekend, I actually welcomed some interaction with fellow hikers today. 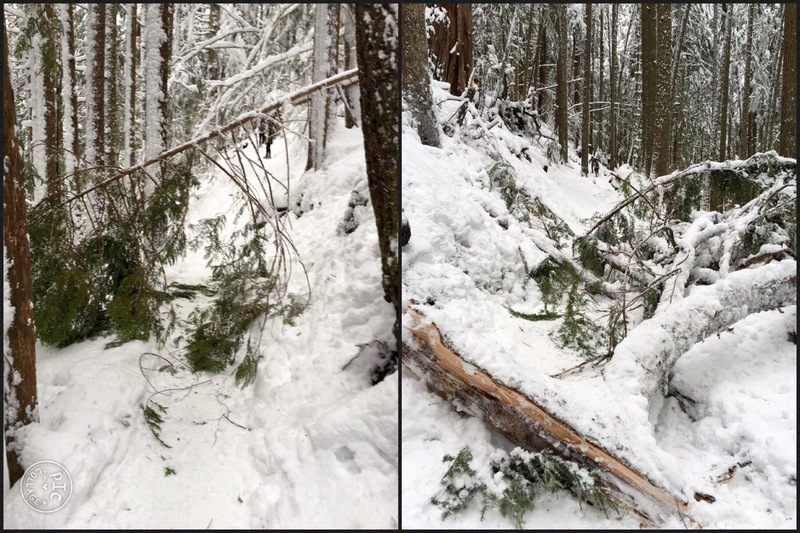 Although the trail started off as a muddy path crossing over one of Middle Fork Snoqualmie River’s many tributaries, it quickly transformed into a slush-covered route gaining 1000 ft. in elevation in just 1.5 miles. 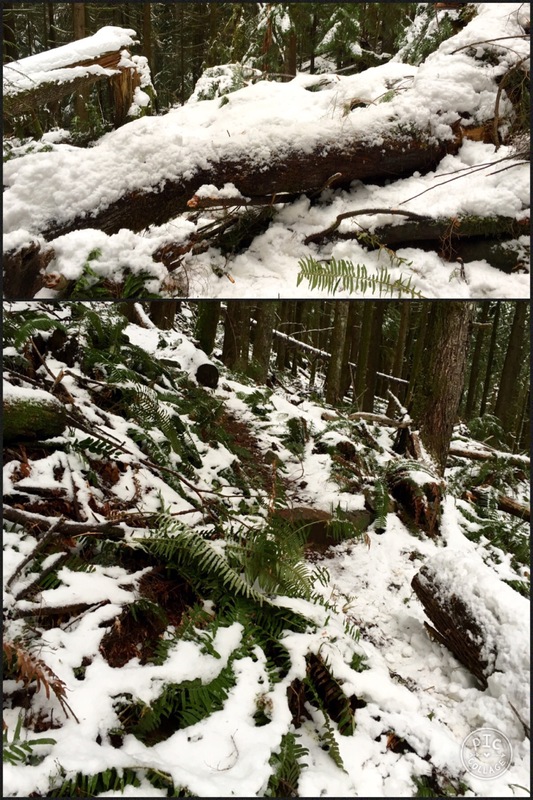 By the time I traveled 2 miles to the level section of Snag Flats, the entire trail was a beautiful winter landscape of pure Cascadian snow. Throughout the hike, I encountered many blow downs along the trail, including a few requiring me to climb over, rather than crawl under, limbs and trunks. Although the snow on the trail was compacted by previous hikers, it was wide enough only for single file formation throughout the upper portion. The drifts were so high that when I stepped aside to let someone pass, my legs sunk calf- to knee-deep into the snowbanks. 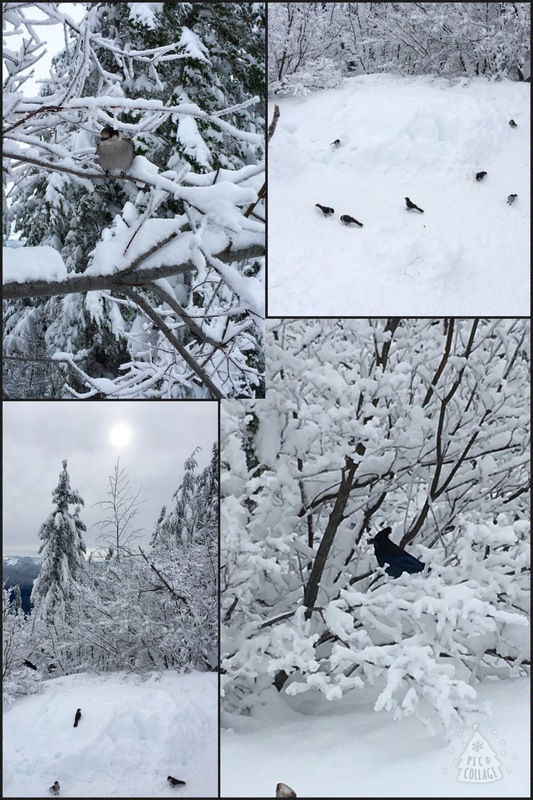 Being fully prepared for a winter hike, my wind and waterproof layers, gaiters and mini-crampons, as well as trekking poles retrofitted with snow baskets, kept me well insulated and surefooted throughout my journey up to Haystack Basin of Mount Si. However, I crossed paths with many hikers today who were ill-prepared to travel halfway up this challenging trail much less attempt it in winter conditions. I made my best effort to wave and say a friendly hello or more to everyone I encountered to imprint their details into my memory banks for the safety of us all (like the mom that I am). I’m glad I did because I crossed paths again with a friendly hiker I recognized from my recent trip to the Hidden Forest Trail on Tiger Mountain. She was kind enough to reach out with a warm greeting via Facebook – hopefully we will get to hike together soon! Upon reaching the last mile marker to the basin of Haystack (the crowning jewel atop Mount Si adventurous hikers take pride in scrambling up during summer months), I took a momentary pause not only to rest but also to take in all the wondrous delights around me. 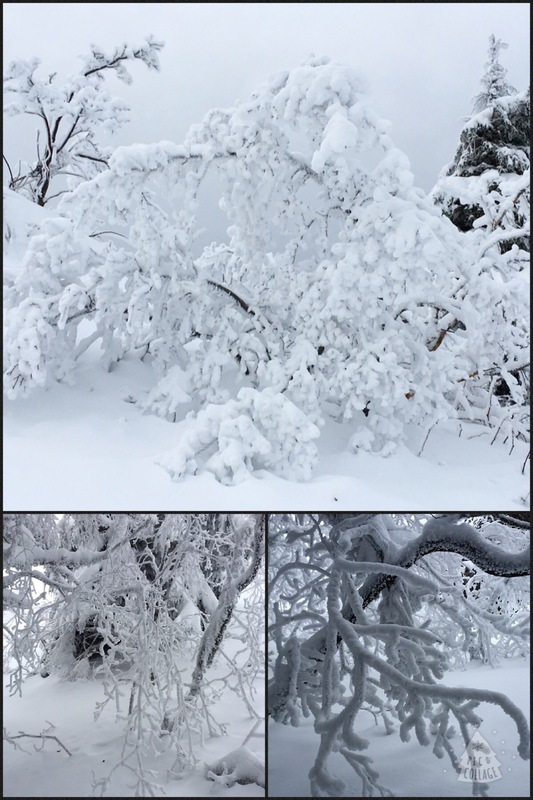 This landscape of icicles frozen in time, felled trunks of long ago bedded under blankets of snow, and tufted blooms of snow buds delicately clinging to tiny twigs and branches left me completely humbled by nature’s masterful vision. Although I was awestruck by my surroundings, I still had a final 500 feet or so to gain before reaching the day’s summit. Just when I thought I needed to break for lunch, I crossed a talus slope at the last half mile that whet my heart’s appetite more than it did my stomach’s. The slope offered me a panoramic glimpse of snow-capped peaks stretching beyond the horizon. With my eyes content, my desire to push on to the summit was refueled. I sped through the narrow trail into the forest, passing the first noticeable set of animal tracks today hidden under furry white limbs descending into the drifts of snow below, only to surface head-on into heavy wind. The gusts didn’t prevent scavengers from flying straight into my path and landing at my feet in anticipation of a free meal. The continued whispering of the wind told me I wasn’t yet at my final destination. I was carried forward by Jack Frost’s breath up through the deep snow until I found myself directly in view of the majestic Haystack. Having been here earlier this spring, I was one of those thrill-seeking hikers who scrambled to the very tip of Mount Si’s crown. However, then I was greeted with only a view of fog so thick I wasn’t exactly sure how high up in the clouds I truly was. Thankfully, it was not the same view on this blessed day. I was only at the basin when my journey’s peak rewarded me with a truly mesmerizing view of Mount Rainier completely frosted in snow, adorned by the bejeweled alpine ring of the Southern Cascades. Even the sun sparkled through the haze of winter clouds, illuminating the never-ending crests before me. I never knew the absence of color could be so captivating. My trek down was quick and relatively uneventful. As I headed home, I recognized some of the hikers I passed on their way up and was glad to see them safely heading home as well. After finishing my delectable sandwich (did I mention how much I longed to eat that leftover goodness? ), I had more than enough energy to keep going once I made it past Snag Flats. So, upon reaching the upper end of the Talus Loop, I decided to explore the eastern side of Mount Si via this rugged trail. When I finally made it to the trail’s namesake talus slope, I found myself with an unobstructed view of Snoqualmie Valley. It was almost more serene than the view at the summit. The air here was calm and inviting, giving me the chance to enjoy the winterscape before me. I could clearly see the severity of when light meets dark in the snowline of the mountains against the grim gray backdrop. Again, I never imagined the absence of color would create of world as brilliantly vivid as a rainbow. Once I finished traversing Mount Si along the 3 mile loop, I rejoined some of the hikers I encountered earlier on the main trail. From there, I was back at my car within another three-fourths of a mile, and back home in time to enjoy leftover chocolate tart in my cozy kitchen. Even after an unplanned start, my day was complete and full. Wishing you the happiest of holidays to hikers everywhere!